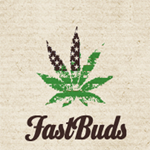 Fast Buds - Cream Cookies. Free US delivery. Cream Cookies reaches full maturity in eight to eleven weeks. Plants grow big and bushy with massive green buds coated in frosty white crystals. Don’t forget to flush well to ensure your final product has the best flavor. Flushing will also bring out beautiful red, yellow, and purple colors unlike any other plant you’ve ever seen. CC is one hungry beast, so don't skimp on the nutes and water. Combine healthy nutrition with some LST, and some defoliation, and you'll see positively massive yields of this amazing anytime strain. Creamy, full-bodied flavor with earthy, woody, and pungent notes that can dominate the back-end of the smoke. Cream Cookies is one of our most versatile strains, able to relax the smoker without putting him or her to sleep. It grants a cerebral yet giddy lift before smoothly sliding into a relaxing indica body buzz with a delightful stimulation of the appetite. A toke or two will keep you going throughout the day, but be careful not to overdo it (until nighttime at least), the more you smoke, the more indica-like effects dominate the experience.\r\nIt’s the perfect high to share with others, the kind of weed meant to smoked with friends and a few drinks, or with someone close on a beautiful beach or mountain top.